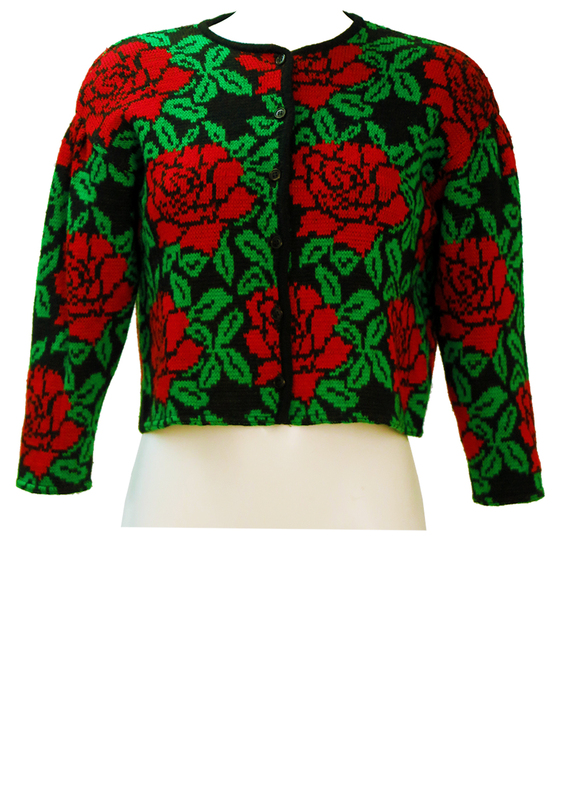 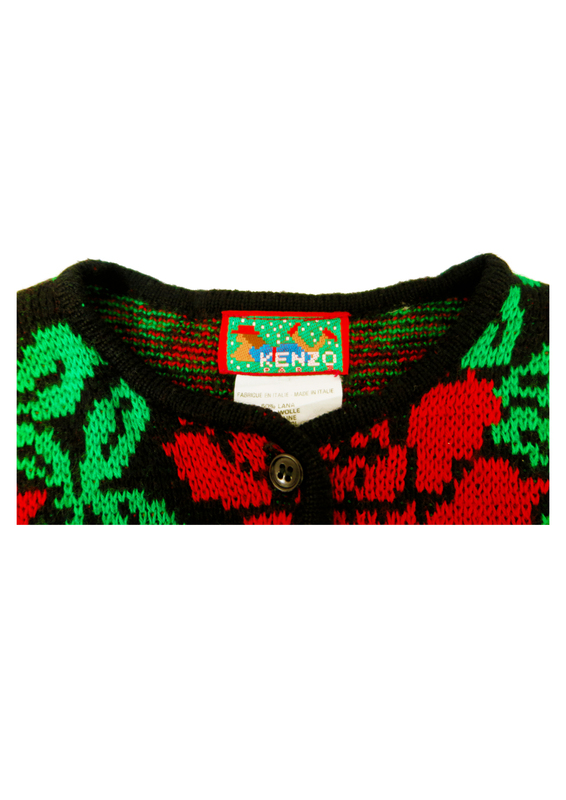 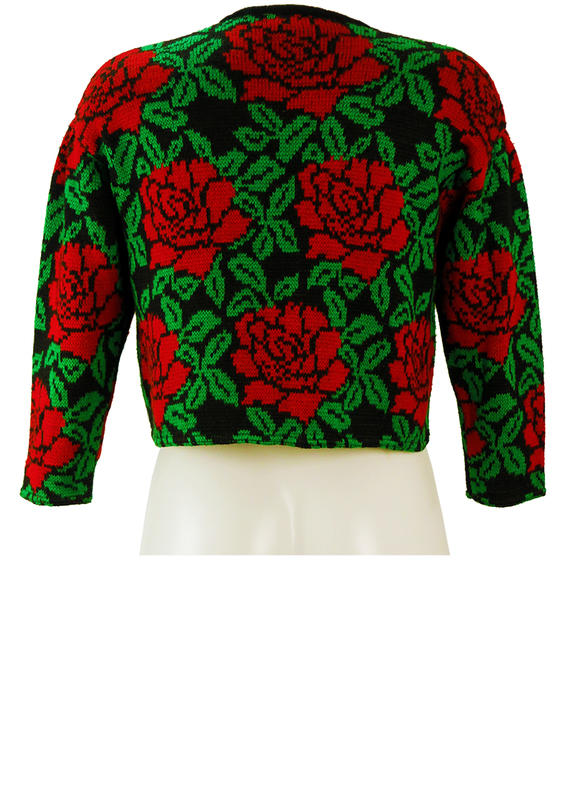 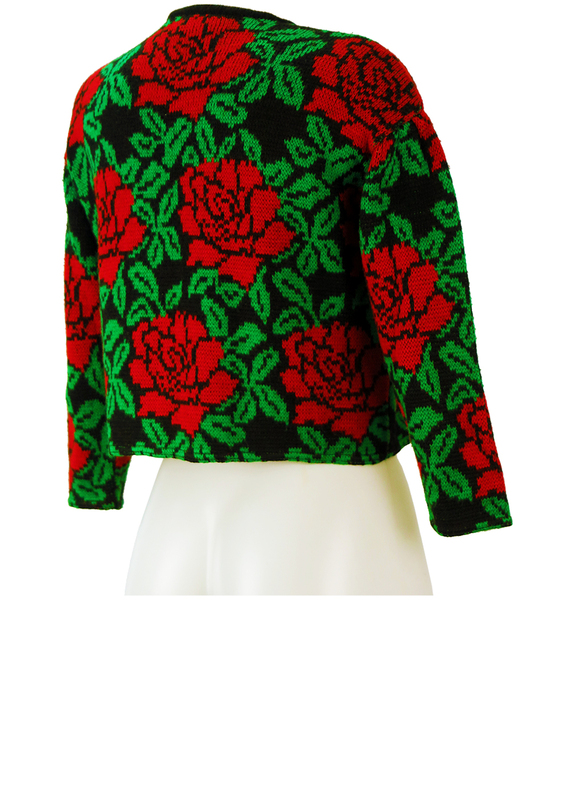 Kenzo cropped knit cardigan featuring a super bold red rose pattern with bright emerald green leaves set against a black background for maximum colour pop! 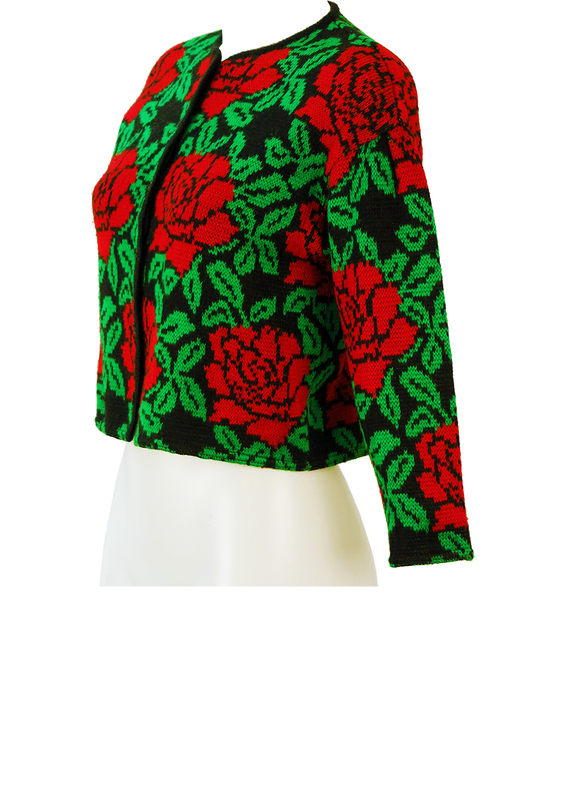 The cardigan has a slightly box-like shape and half length sleeves with gentle ruching at the shoulders. 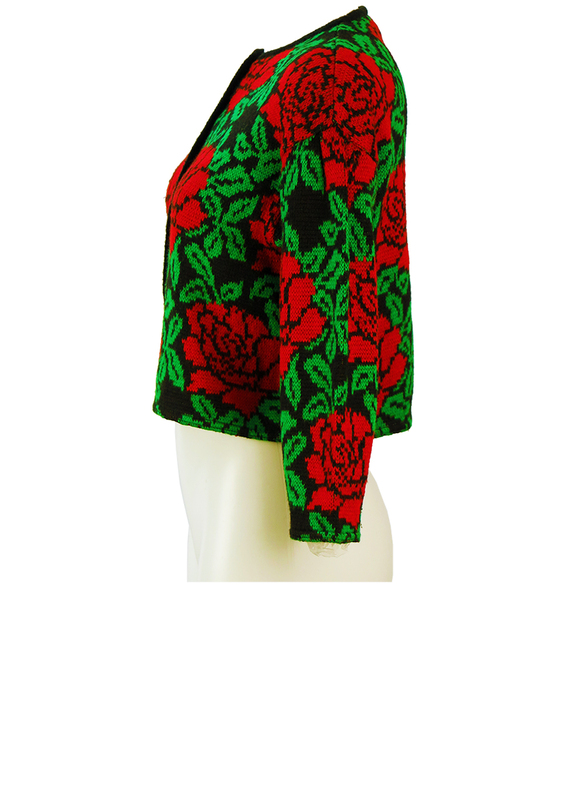 In the absence of a sizing label we approximate the cardigan to be a size M and all measurements have been taken with the fabric non stretched.